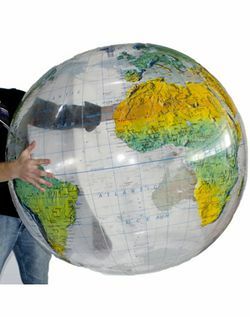 Gigantic Inflatable World Globe that is 36 inches in diameter!! This is primarily a physical world globe, but it also includes the country names and boundaries and the oceans are clear! Includes an inflatable ring stand.